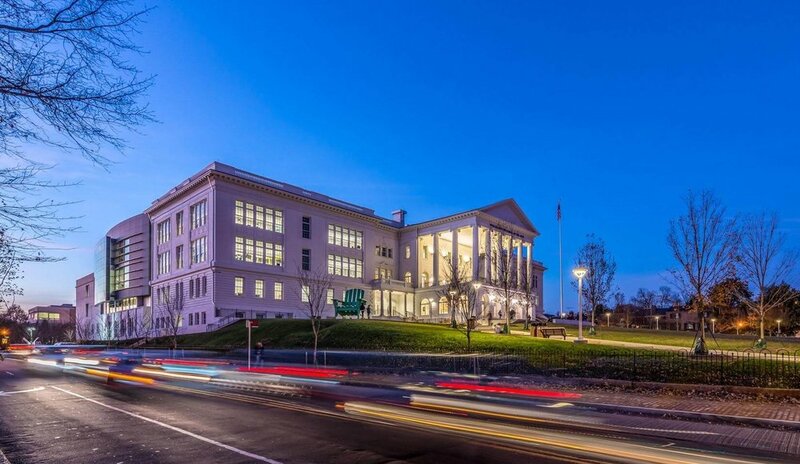 Located in an iconic historic building in Georgetown’s Burleith neighborhood, the Duke Ellington School of the Arts is an exceptional magnet school, often referred to as the “crown jewel” of the Washington, D.C. public school system. 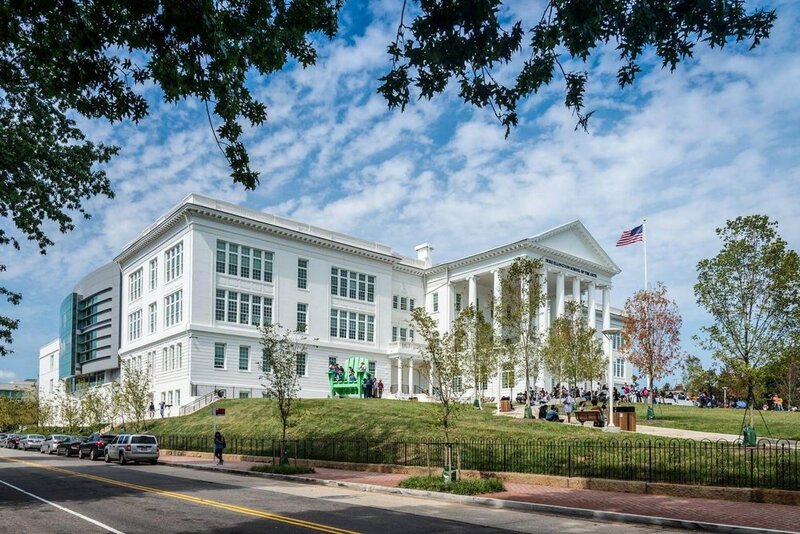 The architectural transformation of the aging building -- a historic National Landmark -- is both apparent and impressive. The design strategy for the landscape, however, required a nuanced approach that acknowledged the history of the place, addressed a series of complex site conditions, and incorporated new programmatic and accessibility requirements. As the design of the entire project progressed, budget constraints dictated a streamlined approach that relied on relatively modest materials and simple, easily managed planting expressions. 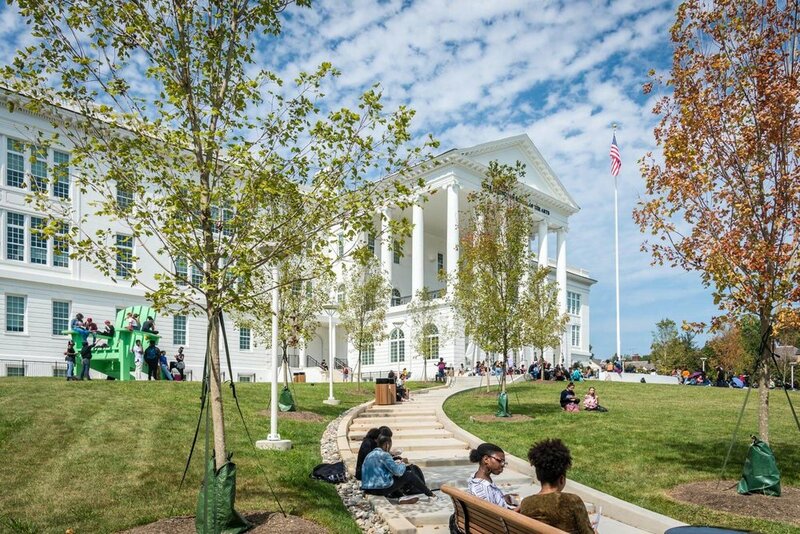 The building’s front lawn, a critical component of the site’s history, frames the historic building façade and thus received significant oversight from local regulatory agencies including the US Commission of Fine Arts. Twin walks lined with allees of sugar maples flank either side of the lawn, framing the building’s historic portico while providing primary access the building itself. Their geometry is based on the site’s historic configuration, however, the new walkways also address contemporary accessibility requirements and provide places for individual students and small groups to pause and enjoy the landscape. 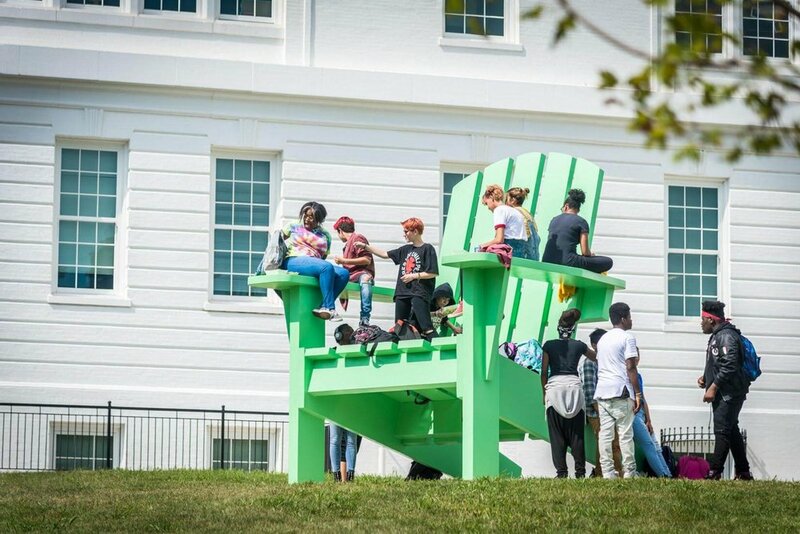 The front lawn and walk is also home to important cultural & functional infrastructure including sub-surface bioretention structures, an intimate gathering space paved with donor bricks, and a carefully re-graded area that accommodates the school’s distinctive green Adirondack Chair sculpture. 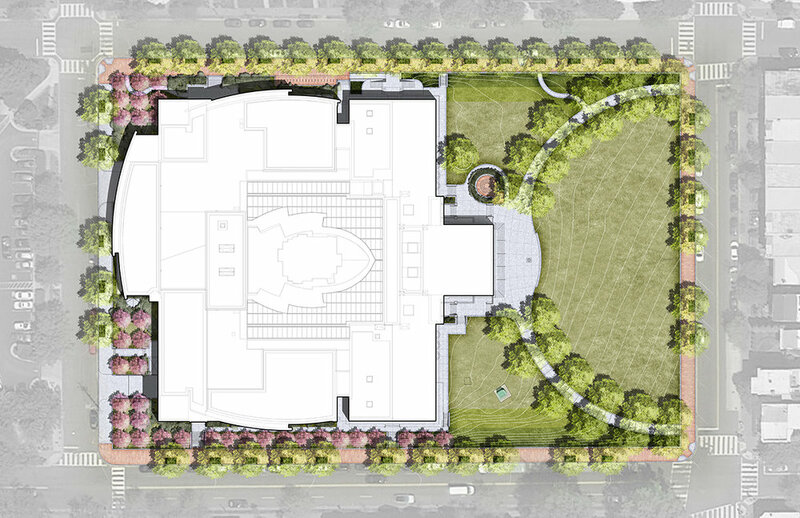 The north and south edges of the project are characterized by extensive tree plantings that help articulate the building’s relationship with the residential neighborhood and adjacent streetscapes.